The festival makes its full line up announcement today, boasting a range of artists spanning the full spectrum of the funk and soul genres, appealing to both experienced fans and curious newcomers. Joining the festival are: BBC Radio 6 Music DJ and funk veteran Craig Charles, multi-instrumentalist, vocalist and producer Jordan Rakei, and Edit legend Greg Wilson. These exciting names join those already announced, including Kamasi Washington, dubbed ‘the figurehead of the jazz revival’ by the Guardian, electronic duo Maribou State (DJ Set), the classic sounds of Alice Russell, and Lee Fields & The Expressions, along with the genre-defining talents of Norman Jay MBE, and Gilles Peterson. Add to this a curated blend of fresh acts with Yazmin Lacey and Romare plus outstanding talents Akua Naru and The Pharcyde. Also added today are a host of record labels, DJs and partners, creating a hugely inclusive, varied line up that reaches above and beyond a standard music line-up. 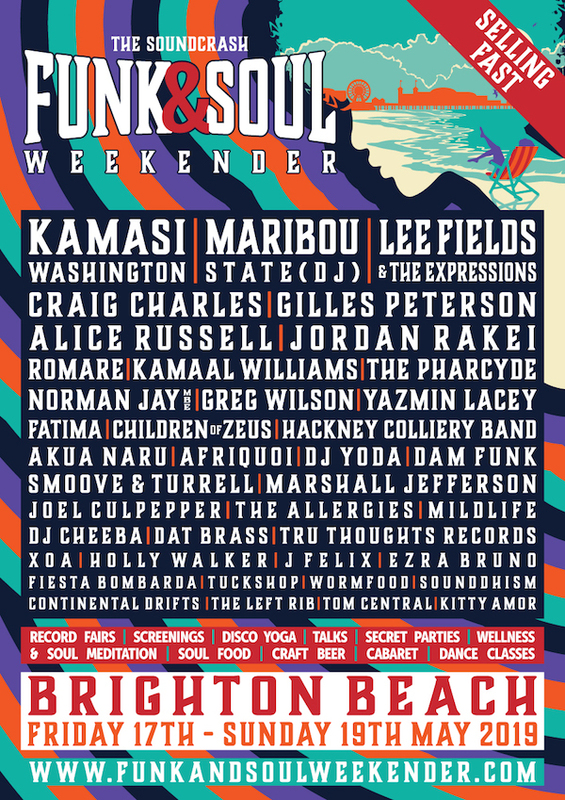 The festival offers an extensive, jam-packed timetable of extra activities including record fairs, film screenings and explorative talks; as well as wellness & soul meditation, dance classes and the original disco yoga experience. All this can be found alongside secret parties, cabaret, and the best in soul food and craft beer.